We left London’s Paddington Train Station mid-morning Saturday and arrived in Oxford just shy of an hour. As soon as you set foot in Oxford, an air of scholarly sophistication surrounds you. 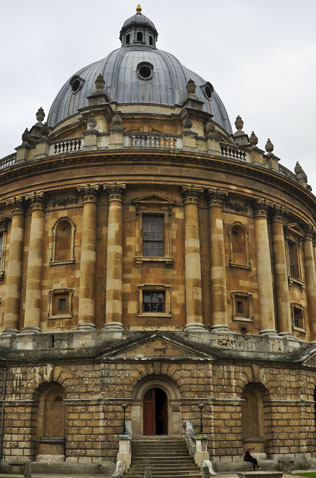 The 38 independent colleges that make up the University of Oxford dominate the city, but in a good way. 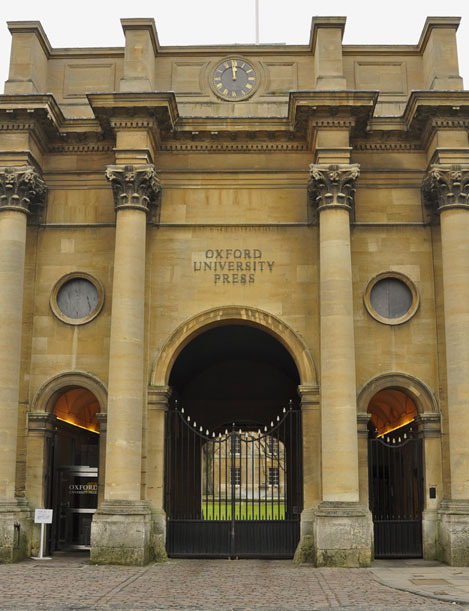 We ventured down Walton Street and walked past the famous Oxford University Press—the largest university press in the world and one of the largest publishers in the UK. A minute or two down the road we found Manos, a Greek deli, and enjoyed chicken souvlaki wraps to fuel up for our day of sight-seeing. Oxford city center is a hub of restaurants, cafes, retail stores, souvenir shops and the historic Oxford Covered Market which sells everything from flowers to fish to cookies and coffee. It’s a great place to buy a gift or watch the busy staff at The Cake Shop decorate a unique, custom, sugary masterpiece. 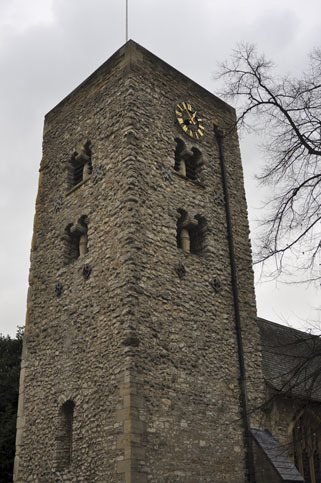 Also in the center of the city is the Saxton Tower (of St. Michael at the North Gate) which is the oldest building structure in Oxford, dating back to around 1050. For a small fee, you can climb to the top of the tower for a magnificent view of the city. One of the Colleges we visited was Trinity College, founded in 1555 by Sir Thomas Pope. We meandered through the Durham and Garden Quadrangles and popped into The Chapel (built in 1694) and marveled at its beautiful English baroque design, the amazing wood carvings and the ceiling painting of the Ascension. We also walked through the Old Schools Quadrangle to admire the magnificent buildings of the Bodleian Library—one of the largest research libraries in the UK. As we exited the Quad, one of Oxford’s most famous landmarks stood before us—the Radcliffe Camera (camera means room in Latin). It is one of the earliest circular libraries in England (built in 1749) and is still in use today, as it is part of the Bodleian. 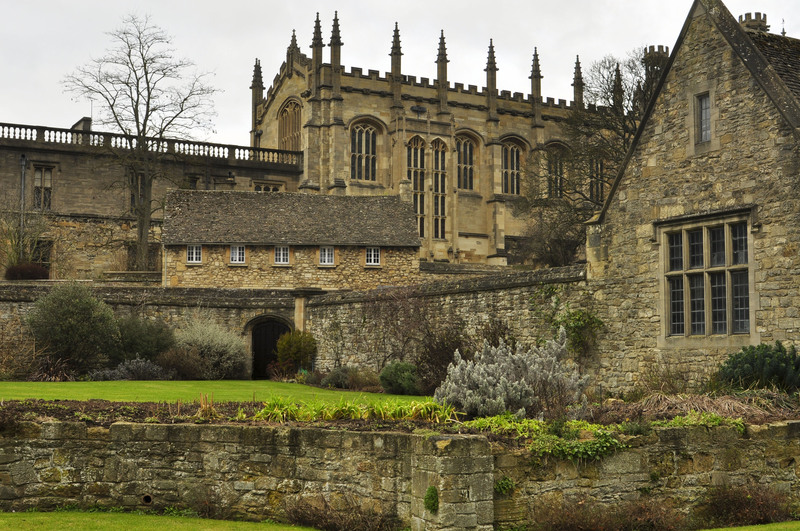 Another College we visited, was Christ Church College—one of Oxford’s largest. It is my guesstimate that it is also one of the most toured Colleges by visitors, thanks to a small book called Alice’s Adventures in Wonderland and a small movie called Harry Potter. Charles Dodgson (a.k.a. Lewis Carroll), a mathematics tutor at Christ Church, was inspired by many things at the College and penned his famous tale about Alice (named after one of the Dean’s daughters). Many scenes from Harry Potter were filmed at Christ Church as well. 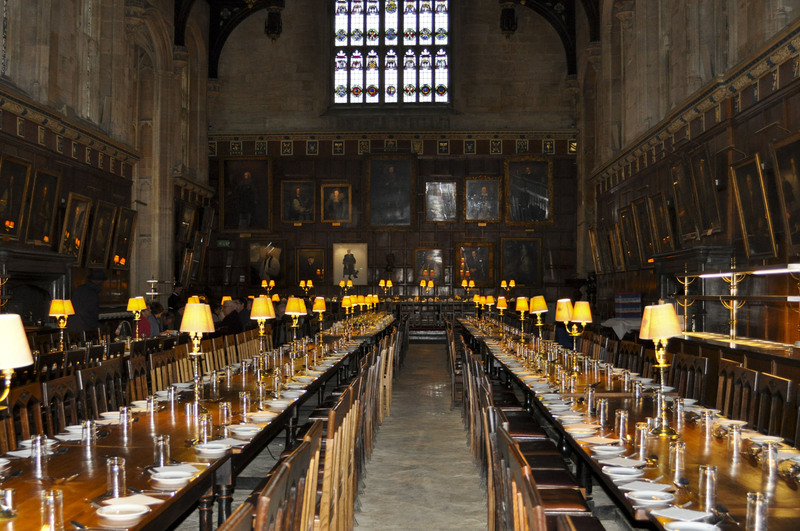 The Dining Hall, with its long communal tables and wood paneling was reproduced as Hogwart’s Great Hall, minus the flying ghosts. This entry was posted in England and tagged Christ Church, Oxford, Radcliffe Camera, Trinity College, University of Oxford. Bookmark the permalink. I believe Harry was sitting in the third chair from the right…. Trevor is a big Harry Potter fan so you are one cool Aunty and Uncle right now! 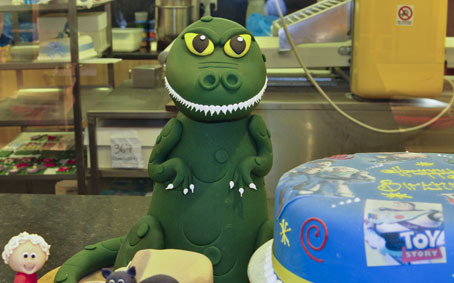 Austin is a big cake fan and Dino fan so a big “hi five” for the Cake Shop! Omg-says Whitney now you are way high on her cool-o-meter! This family loves a good star sighting-we are very deep.